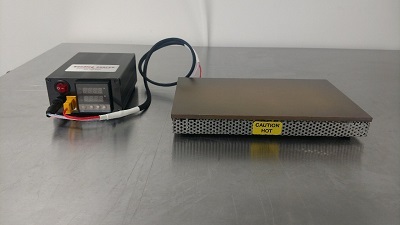 Bonding Source low profile hot plates are the microelectronics and RF/Microwave assembler's choice for pre-tacking epoxy film, epoxy curing, SMD reflow, rework, and wire bonding base heat. The hot plate system is modular. Hot plates, controllers and connecting power cords are sold separately. 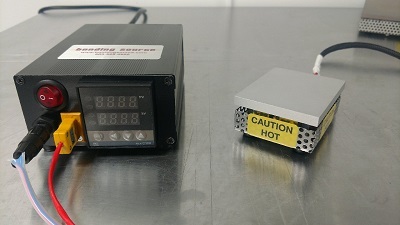 The digital PID temperature controller can be used interchangeably with any hot plate. Hot plates have a low profile height of 1.4" and heat to 300c. Sizes include 2.5" x 3.0", 4" x 6", and 6.5" x 10.5"
Digital temperature controller ensures process consistency.